Tufts University has been tapped by the United States Agency for International Development (USAID) as part of a multidisciplinary team that will receive a grant of up to $185-million to create better synergies among veterinarians, doctors and public health officials in responding to emerging infectious diseases. The five-year initiative, which will be led by Bethesda-based DAI and also includes the University of Minnesota, will improve the capacity of countries in high-risk areas to respond to outbreaks of emergent zoonotic diseases that can be transmitted between animals and humans. With a focus on preventing zoonotic diseases from reaching the human population, the intent of the project is to identify and counter outbreaks while they are still within wildlife and livestock. Known as RESPOND, the project will focus on the development of long-term field epidemiology training, short-term in-service training, and academic preparation of all health professionals using a One Health framework-drawing physicians, public health officials and veterinarians together for a common purpose. Training will facilitate the merging of animal and human health dynamics into a comprehensive approach to disease detection and outbreak response. The twinning of US academic institutions with local academic institutions in partner countries is a key feature of the project. The threat to human health from emerging zoonotic infectious diseases is very real.  Understanding and responding to this threat are key strengths of the Cummings School and Tufts, said Deborah T. Kochevar, dean of the Cummings School of Veterinary Medicine, which will spearhead Tufts’ efforts. The RESPOND team brings a breadth and depth of experience that crosses disciplines, spans species and taps the power of One Health thinking. The RESPOND grant is one of five projects of the USAID Emerging Pandemic Threats program. The other four complementary projects are known as PREDICT (to monitor for emergence of infectious agents from high risk wildlife), IDENTIFY (to develop a robust laboratory network), PREPARE (to test pandemic preparedness plans) and PREVENT (focusing on behavior change communication to help people avoid high-risk practices that could lead to transmission from animals to humans). Taken together, these mechanisms aim to capitalize on recent successful global USAID sponsored efforts to understand and contain Highly Pathogenic Avian and pandemic influenza worldwide—and apply those key lessons learned to preventing newly emerging disease agents from becoming pandemics. 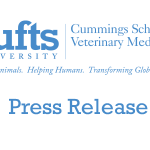 The Tufts team will be led by principal investigator Robyn G. Alders, Associate Professor in the Cummings School’s International Veterinary Medicine Section within the Department of Environmental and Population Health, and Co-Principal Investigator and Associate Professor of Public Health Joann M. Lindenmayer, DVM, MPH. Dr. Alders brings more than 20 years of international experience and a PhD in immunology to the project. Dr. Lindenmayer is a 1985 Cummings School graduate and alumna of the CDC‘s Epidemic Intelligence Service. The project will draw from faculty of the Cummings School, Tufts School of Medicine, Tufts Feinstein International Center, and Tufts Center for the Enhancement of Learning and Teaching. Dr. Felicia Nutter, a 1993 Cummings School graduate, will be based in the Bethesda headquarters of DAI as the Senior Technical Officer. Dr. Nutter completed a combined residency/PhD program in wildlife medicine and epidemiology, is a diplomate of the American College of Zoological Medicine and has considerable international experience. The Cummings School is no stranger to international veterinary work. In 1983, the school, along with Tufts’ Fletcher School of Law and Diplomacy, was tapped by USAID to optimize cattle production in Niger. This led to participation in a long term effort to eradicate from the world one of the most serious infectious diseases in cattle, rinderpest. Key contributions to this global effort included development of a heat stable vaccine and its application as well as developing infectious disease surveillance methods in remote areas of the world. Since 2006, a team of Cummings School veterinarians has been working with the United Nations Food and Agriculture Organization and the Indonesian Ministry of Agriculture to develop a surveillance and control program for Highly Pathogenic Avian Influenza in Indonesia. Using a community-based educational approach, they have provided technical assistance and training for Indonesian veterinarians and the villagers who depend on their small flocks for food and income.